Hey Beauties, Who else is excited for this palette???? 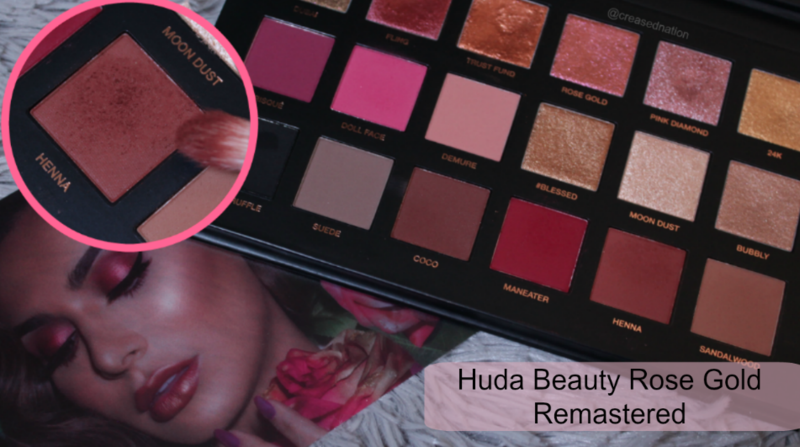 I just had to get my hands on the Huda Beauty Rose Gold remastered palette because I missed out on the first Rose Gold palette. It is a bit of a splurge, denting your pocket by R1299.00 (from muse.com) but it is so worth it! Home to 18 eyeshadows and a mirror, the packing is sleek and easy to store away. 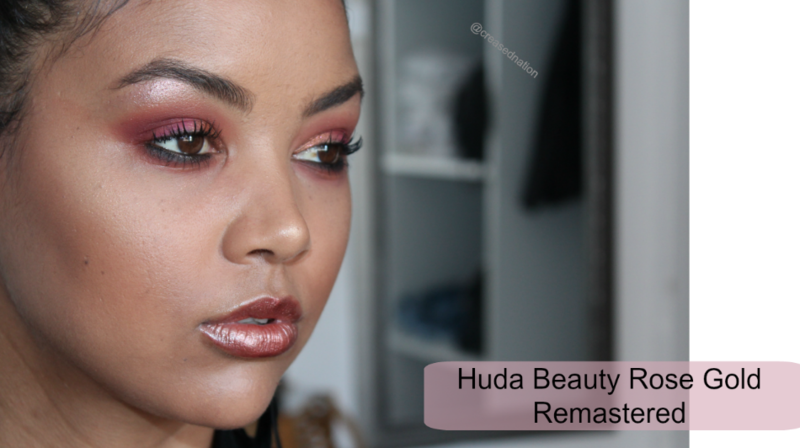 The matte eyeshadows have a slight fall out (as pictured above) however it does not fall out as you are blending, less is more with these shadows as they are very pigmented and the term ‘handle with care’ applies in this case. 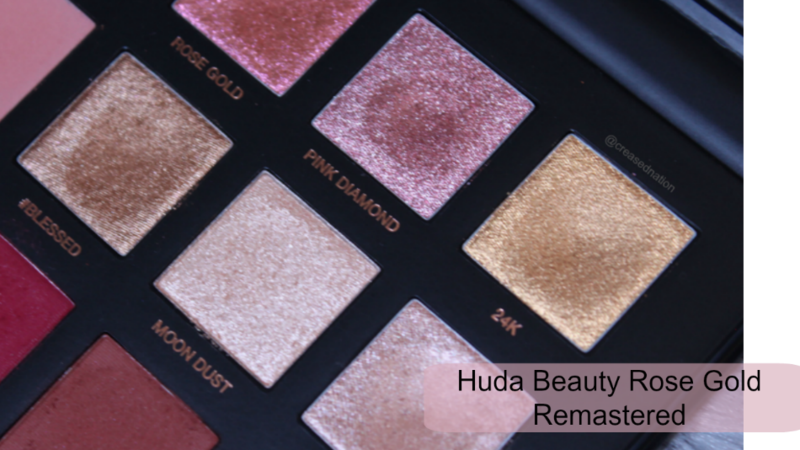 One of the reasons for the remastering of the original Rose Gold palette was to change the formula of the textured eyeshadows to be used with a brush too and not only your fingers. I was slightly disappointed with this as it didn’t apply really well with a brush as it had promised to. When working with the textured eyeshadows i would advise you to be super careful as it lifts and dents easily if you stick your finger or brush into it. 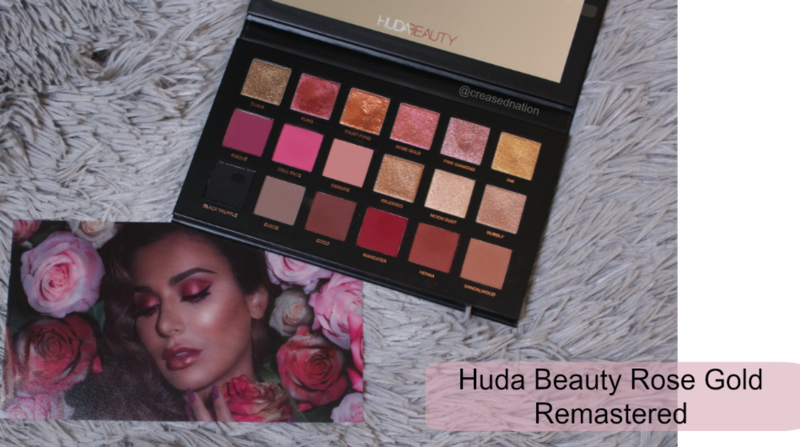 If you handle this palette with care you will get a longer lifespan out of it.